Some items that need to be weighed are very small and require extreme accuracy and precision to even be able to find their weight. These items require scales that are able to measure in very small amounts. However, there are many other things that require the exact opposite. There are industries and businesses that require the measurement of large objects. There are several different types of scales that can be used to measure heavy weights. 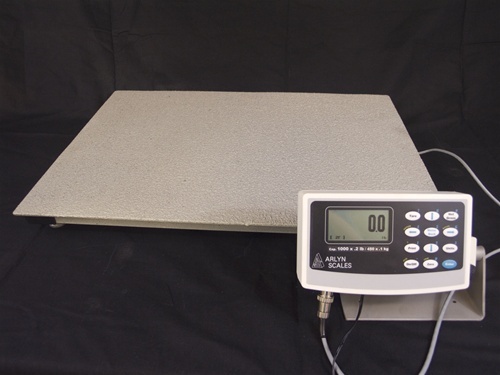 Heavy weight scales must be high quality, durable, and reliable. Most of the time, scrap metal is weighed inside the vehicle which brings it to the scales. The metal scales are actually a very large platform scale. The vehicle containing the scrap metal drives onto the platform scale. One weight measurement is taken of the vehicle with the weight of the scrap metal also included. Once the metal is unloaded, another measurement is taken. This measurement will include only the weight of the emptied vehicle. To get an accurate measurement of the weight of the metal, the weight of the empty vehicle is subtracted from the weight of the combined vehicle and metal. Scales that are used to measure heavy weights must be made from the highest quality of materials. These materials must be able to withstand the amounts of heavy weights that may be placed on them on a regular basis. Only the highest quality materials may be strong enough to withstand the pressures that are associated with heavy weight scales. The materials are not the only part that must be high quality. These scales must be put together in such a way that their construction will also withstand the pressures. Therefore, the workmanship that is used to manufacture the scale must also be exceptional. If a scale is to survive heavy weight being placed on it on a regular basis it must also be durable. The constant application of heavy objects will be likely to cause excessive wear and tear on the scale. Just because a scale starts off with high quality materials does not guarantee that the finished scale will continue to be durable, after use. So, the scale has to be designed in a way that will help it to hold up under the weight of the objects that it is required to weigh..
One final important thing to consider is the reliability of the heavy weight scale. The weighing mechanism needs to be designed in such a way that the scale will continue to be reliable and accurate, even after continued use. Most of these scales come equipped with automatic calibration. After continued use, the scale will be likely to not be as accurate as it was in the beginning. However, you may want to consider having your scale recalibrated annually to allow the user to compensate for the inaccuracy that occurs after extended use. There are many reasons for needing heavy weight scales. 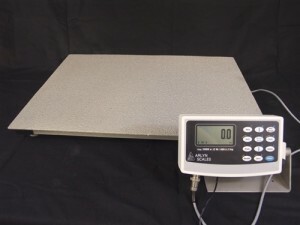 For those who need to purchase these types of scales, they must consider the quality, durability and reliability of the heavy weight scale being purchased. If your business is in the market for one of these types of scales, take a look at our website. Arlyn Scales offers high quality and reliable heavy weight scales. These scales will continue to be reliable even after considerable use. So, allow us to help you discover the best heavy weight scales that will meet your needs. We have scales to fit just about any need. Contact Arlyn Scales at www.arlynscales.com/ Today!